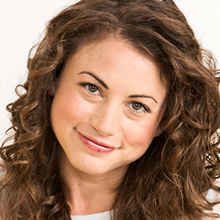 Debbie Sterling is the Founder and CEO of GoldieBlox, the award-winning childrenâ€™s multimedia company disrupting the pink aisle in toy stores globally and challenging gender stereotypes with the worldâ€™s first girl engineer character. Debbie is an engineer, entrepreneur, and one of the leaders in the movement toward empowering girls to build their confidence, dreams and ultimately, their futures. She was named TIMEâ€™s “Person of the Moment,â€ honored by the National Retail Foundation as one of 25 â€œPeople Shaping Retailâ€™s Future,â€ and was recently added to Fortune Magazineâ€™s prestigious â€œ40 Under 40â€ list. In 2015, Debbie was inducted as a Presidential Ambassador for Global Entrepreneurship and honored by the National Womenâ€™s History Museum with a â€œLiving Legacyâ€ Award for her work to empower girls around the world. Debbie received her degree in Engineering at Stanford University in 2005.